Post contains affiliate links. Please read my disclosure. When you’re pregnant, heading to the hospital can be a time of great anxiety and anticipation. I’ve been asked many times, what did you pack in your hospital bag? Packing for your labor and delivery experience can be extremely nerve wrecking, especially when you’re not sure what to expect. 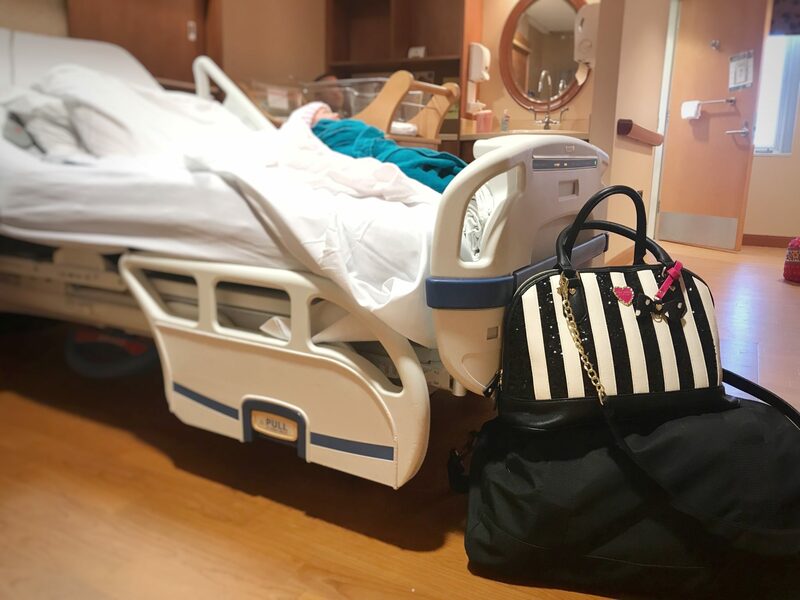 Here’s what to pack in hospital bag for labor and delivery, including 7 things you’re probably forgetting (even if you’ve already packed). 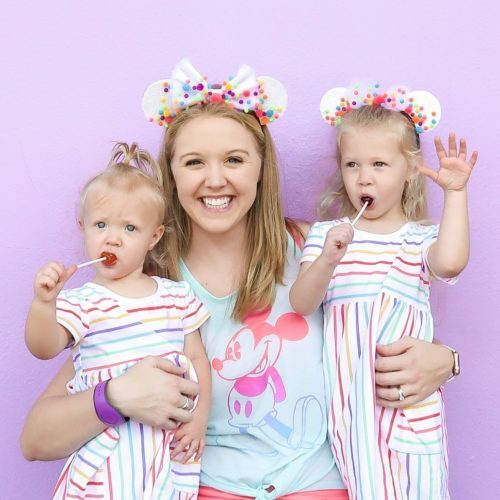 There are several items that aren’t really necessities but that I would consider must-haves to make the labor and delivery process a bit easier and more pleasant. Lips get so dried out during labor, especially when you’re not able to eat or drink a lot. Having chapstick will be a life-saver! Since eating is not an option, gum, mints and hard candies will be your best friend. They provide a nice taste without actually filling your stomach. With my first daughter, the nearest plug was about 6 feet from my bed in the recovery room. It was extremely aggravating to have my phone far away especially in the middle of the night if I needed to time nursing sessions, answer texts from friends/family or just needed to check the time. This time around, I have an extension cord packed so it won’t be an issue again! During my first labor experience, my mom would keep notes every time the doctor came in to check. Looking back, I had a great track of every detail throughout the delivery so that I could eventually write them down in my daughter’s baby book. The notebook also came in handy to write down questions I had for the doctor or lactation consultant or information they provided that was crucial to remember. In general, hospitals are FREEZING cold and the blankets they provide are thin and not very warm. Bring an extra blanket for yourself (and for your husband) so that you can both rest comfortably (or as comfortably as possible in a hospital room). A baby doesn’t come out of the womb and sleep well in an awkwardly quiet room. Just a fair warning, they probably won’t sleep well at ALL. Not to mention, you will be disturbed MULTIPLE times throughout the night, sometimes when baby has just fallen asleep. A sound machine can be a life-saver to help baby stay asleep during the chaos. I love this Sound Machine because it is portable and battery operated. We have three in our house and are definitely bringing one with us to the hospital. Toss a few extra re-useable grocery bags in with your clothes. You will leave the hospital with so much more than when you arrive. Having extra bags make carrying all those gifts, flowers, extra supplies etc to the car. The hospital bills the insurance company for EVERYTHING. Make sure to clean out the baby cart (diapers, wipes, etc) and take as many pads and disposable underwear as they’ll give you. It’s always a nice gesture to bring gifts for the nursing staff. Who doesn’t want to be on the nurses’ good side? 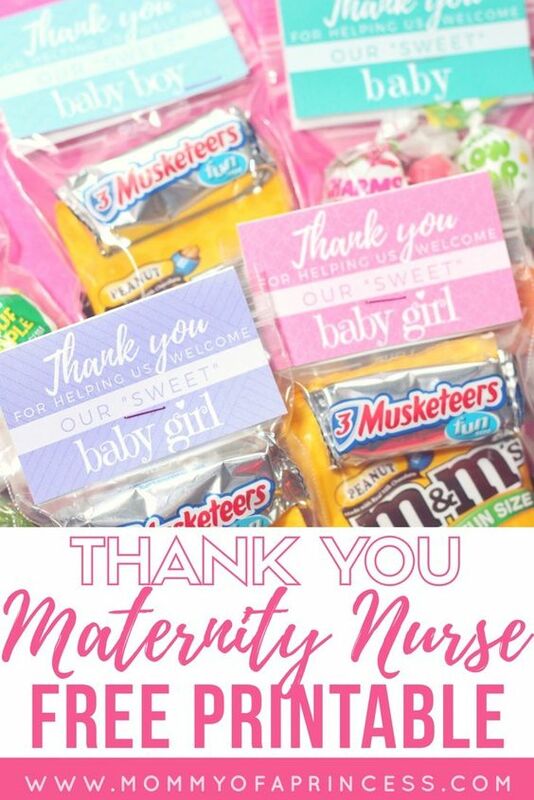 Check out these gifts for labor and delivery nurses ideas. Assuming your hospital has 3 nurses per 12-hour shift, and you’ll be in the hospital for 48 hours, we brought 12 little gift bags to give away. This was the perfect amount. We mentioned the bags every time a new nurse would come in to introduce themselves. Some took them right away and others would come back to grab one at the end of their shift. Click on the color you want to download the printable: Orange, Blue, Green, Purple, Pink. Go ahead and take these items out of your bag or packing pile because they will just waste space! Baby Stuff (diapers, wipes, etc) the hospital will provide more than enough! Mamas, what am I missing? What did you pack in your hospital bag? 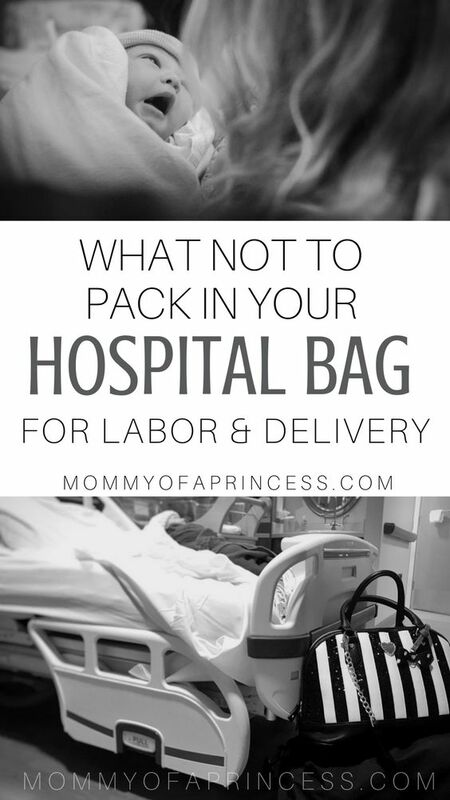 I would love to know what your experience was and what you needed (or didn’t need) for your labor and delivery hospital bag. I’ve started giving small expandable file folders to my friends who have just delivered babies. They give you SO many papers to keep up with in the hospital that it’s nice to have a place to keep up with it all so it makes it home safely. That is such a good idea! They give you so many papers when you have a baby. It’s hard to keep it all organized in those first few crazy months! Thanks for sharing that tip! Adult diaper to wear home. Its a lot more comfortable. Also nursing pads for when the milk comes in even if you don’t plan to nurse. Ooh yes! Great tips! I loved the mesh underwear from the hospital and always asked for extra pairs. And nursing pads are so essential those first few weeks.